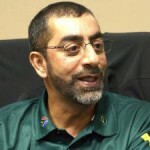 Gift of the Givers Foundation,is a South African Non-governmental organization started by Dr. Imtiaz Sooliman in 1992. It is the largest disaster relief group of African origin. Gift of the Givers has worked in many countries around the world, including Bosnia, Pakistan, Somalia, Haiti and Zimbabwe. During the aftermath of the 2010 Haiti earthquake the organisation sent four rescue teams and aid materials to the country. They were at one point in 2011 the only international aid group providing food aid to Somalia, airlifting 180 tons and shipping 2000 tons of aid. Sooliman started the charity after a Turkish Sufi master, Mohammed Saffer Effendi, instructed him to set up an organisation of that name to do humanitarian work. Gift of the Givers has delivered life saving aid in the form of Search and Rescue teams, medical personnel, medical equipment, medical supplies, medicines, vaccines, anti-malarial medication, high energy and protein supplements, food and water to millions of people in 41 countries, South Africa included. Commencing as a disaster response agency the organisation now has 21 categories of projects which include bursaries, agricultural self sustainability, water provision, counselling and life skills services, entrepreneurship and job creation, establishment of primary health care clinics and medical support to hospitals, winter warmth and supply of new clothing and shoes, sports development, feeding schemes and food parcel distribution, supply of household and personal hygiene packs, educational support and toy distribution, provision of housing, care of the physically and mentally challenged, orphans and the elderly as some of our diverse activities. Innovating the world's first and only containerised mobile hospital comprising 28 units, innovating the world's first containerised primary health care unit, innovating the world's first groundnut-soya high energy and protein supplement in the use of severe Malnutrition, HIV/AIDS, TB, Cancer and other debilitating conditions, and establishing Africa's largest Open Source Computer Lab has earned us 85 individual and organisational accolades and awards including 4 Presidential awards. Thus far we have disbursed R1.2 billion in aid to needy individuals and communities in our 22 year history. Our motto is simple: "Best Among People are those who Benefit Mankind" and accordingly we serve ALL people irrespective of race, religion, culture, colour, political affiliation or geographical location, unconditionally.